Hello again, welcome back to day three of our JustRite Papercrafts September release. Today I have another pretty card with two brand new stamps. One is called Wedding Wishes Vintage Labels Eight and Nine clear stamp set and the other one is called Framed Vintage Labels Eight Cling Background stamp. To start out my card I stamped the Framed Vintage Labels Eight Cling Background stamp onto watercolor paper and painted it in with water colors. 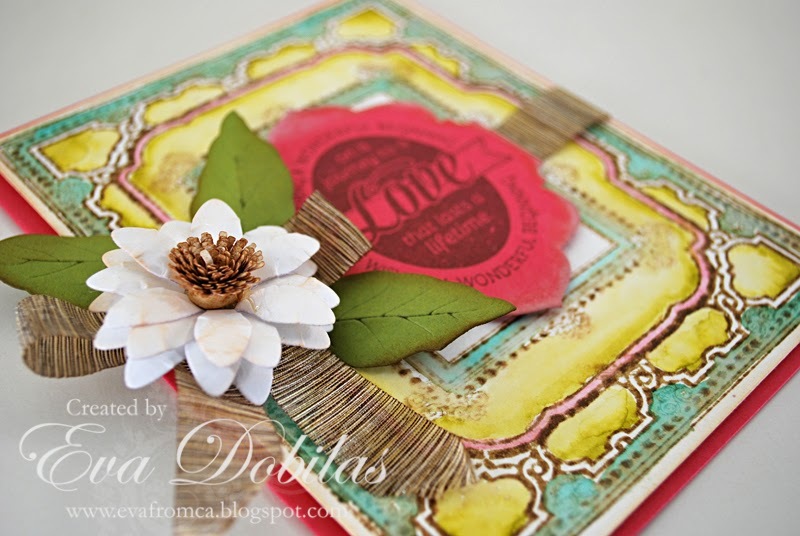 Than I stamped my sentiment onto a reddish color card stock and die cut it using Vintage Labels Eight dies. 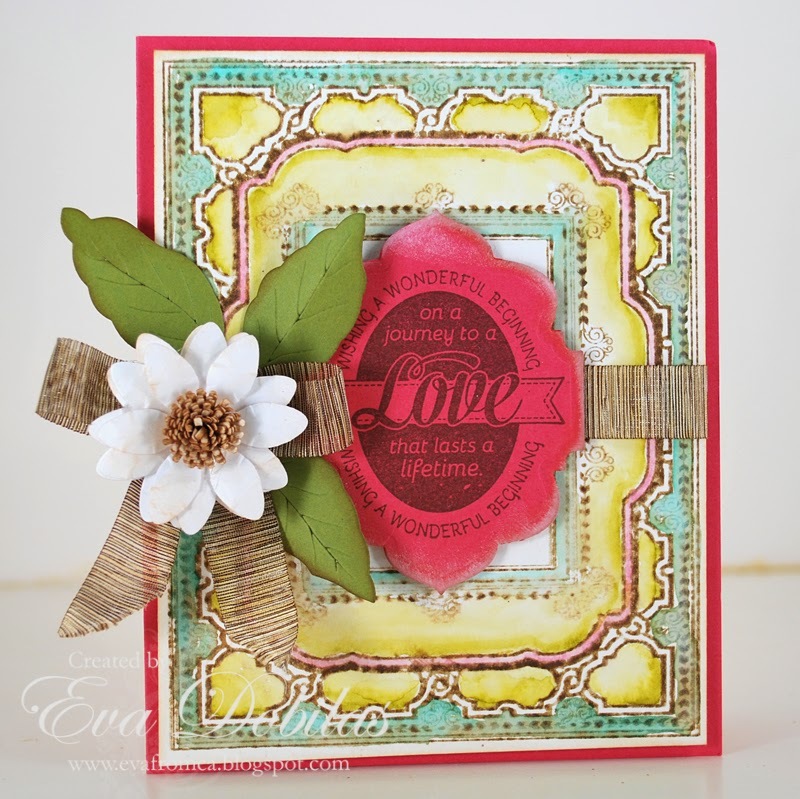 Once I assembled my card I tied a pretty ribbon around it and created a pretty flower using Cheery Lynn Designs Black Eyed Susan Strip dies and the leaves came from their Judy's Blooms dies. And now it's time for you to hop over to my design team mates blogs to see all the gorgeous creations they created. Here are the participating ladies today. Thanks again for stopping by my little blog and wishing you a lovely day!